THE 2015 DX MARATHON IS NOW IN PROGRESS! 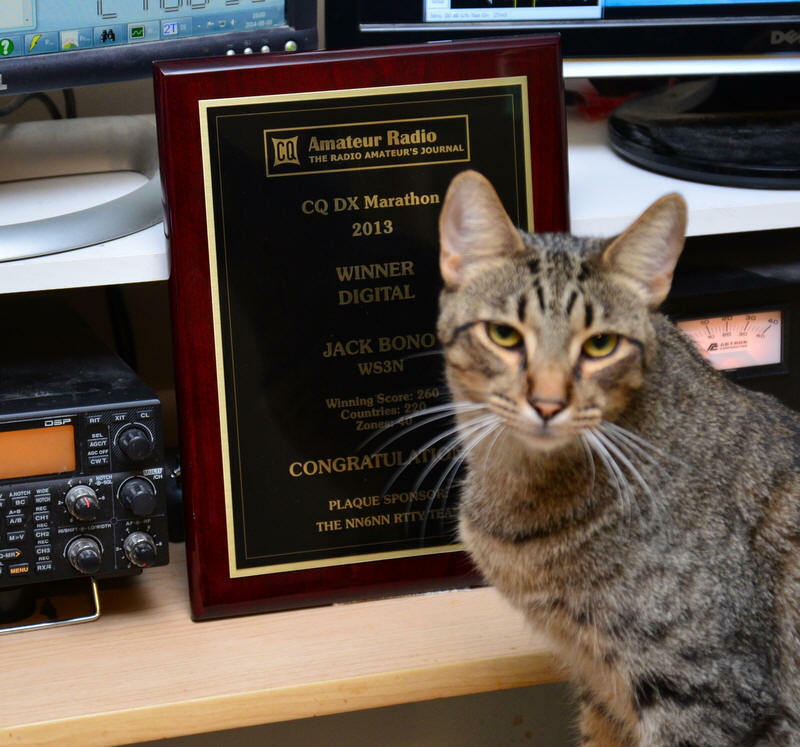 Home Dxing THE 2015 DX MARATHON IS NOW IN PROGRESS! Activity period: The CQ DX Marathon is a year-long activity, beginning at 0000 UTC January 1 and ending at 2359 UTC December 31. Each year’s event is separate. Frequencies: Any authorized amateur frequency may be used. Contacts through repeaters or satellites are not allowed for credit, nor are contacts with maritime or aeronautical mobile stations. All contacts must be made entirely over amateur radio frequencies – i.e., Echolink-type contacts do not count. Modes: Any authorized amateur mode may be used, but three modes will be recognized in the DX Marathon – CW, PHONE and Digital. All modes other than CW or voice modes will count as Digital. General: Each entrant in the DX Marathon may submit one log each year per operating location. Participants submitting logs for single mode or single band entries must include only those contacts in their submission. Logs submitted with multiple mode or multiple bands will not be considered for mode and band awards. Entries with two or more callsigns will only count as a single entry if all contacts were made by the same (single) operator at the same station using the same antennas. Remote operation is permitted if all transmitters, receivers, and antennas are at one physical location. A remote station in a different country than the entrant’s country of license must comply with all local laws and regulations. If an entrant operates from both a primary station and a remote station, separate entries for each location may be submitted. Entries that include contacts made with the assistance of remote receivers and/or transmitters in addition to contacts from a primary station are not permitted. Formula: An entrant may choose one of two options in this class: (1) All contacts must be made with a maximum output power of 5 watts, regardless of band or mode; or (2) the operator may run a maximum of 100 watts output to a simple antenna, such as a vertical or dipole (see the appendix below for further rules on antennas used in either option for Formula class). An operator in Formula class must select QRP (5 watts or less) or 100 watts and limited antennas at the beginning of the year’s DX Marathon, and may not switch between entry modes during the year. All contacts must be made without the use of higher power or prohibited antennas to initially secure the contact. Use of spotting nets such as a DX Cluster® is allowed. Details of antennas used in Formula Class must be included on the official submission form in order to qualify for Formula Class. Limited: Limited Class entrants are allowed a maximum output power of 100 watts and simple antennas, such as verticals or dipoles, plus small directional antennas such as Yagis and multi-element loop, hex and quad type antennas for the 6, 10, 12, 15, 17 and 20 meter bands, and single-element rotatable dipoles for the 30 and 40 meter bands. See the Appendix below for further description of Limited Class antennas. All contacts must be made without the use of higher power or prohibited antennas to initially secure the contact. Use of spotting nets such as a DX Cluster® is allowed. Details of antennas used in Limited Class must be included on the official submission form in order to qualify for Limited Class. Scoring: Each country worked is worth one point. Each CQ zone worked is worth one point. The total score is the sum of zones and countries worked, on any mode and any authorized band. There are no multipliers of any kind. Each country and zone count only once. A single QSO may count for both a country and a zone. If in the course of the year you work 238 countries and 37 zones, your score is 275. If you work all 40 zones and 150 countries, your score is 190. The CQ DX Countries List and the CQ Zone List constitute the official lists. The lists are available on the DX Marathon web site. In the case of ties, the operator whose last scoring contact was earlier chronologically will be judged the winner. Decisions of the Marathon Manager are final. Submissions: Submissions must be made electronically, via email to scores@dxmarathon.com. A Microsoft Excel® template into which contacts may be entered is available for download from the CQ DX Marathon website at http://www.dxmarathon.com. The website also provides other options for those without access to Excel®. All scores must be received by January 10 following the close of each DX Marathon. Verification: QSLs are not required. The operator is expected to claim contacts only from stations the operator has every reason to believe are legitimate, and only to claim contacts in which an accurate two-way exchange was clearly accomplished (see Appendix for further explanation). Scores will be adjusted by the DX Marathon committee for claimed contacts with pirates or any station not considered legitimate. Submissions may be penalized or voided in cases of fraud or poor sportsmanship. Submissions that do not provide detailed descriptions of Formula class antennas (type, height and length, for example) to clearly demonstrate that the antennas meet the rules and the intent of Formula Class may be re-classified to Unlimited class. Decisions of the Marathon Manager are final. Clubs: Clubs are strongly encouraged to use the framework of this contest for intramural and regional competitions. Results: The final listing of official scores and winners will be published in CQ magazine and/or the CQ website. The scores will also be posted on the DX Marathon website approximately one month after the results are published in CQ magazine. Plaques: The CQ DX Marathon Committee will award plaques as follows: Highest overall score in Unlimited Class; Highest overall score in Limited Class; Highest overall score in Formula Class; Highest overall CW, Highest overall SSB and Highest overall Digital only scores; Highest overall score for single band entries for the 10, 12, 15, 17, 20, 30, 40 and 80m bands; Highest overall score for each of the 6 Continents. Plaques for CW, SSB, Band and Continent winners are awarded regardless of Class and will only be awarded if the winning scores in those categories are at least 50% of the score of the overall DX Marathon Unlimited Class winner. Entrants may receive only one plaque per year. In the case of a participant qualifying for more than one plaque, that participant will receive a plaque for the highest level based on the above order. Certificates: Certificates are awarded to qualified participants in this order: Highest overall score in each CQ Zone; Highest overall score in each Country; Highest overall score in the Formula Class 5 watts or less option. Plaque winners are not eligible for certificates. Only one certificate will be awarded per entrant. In the case of a participant qualifying for more than one certificate, that participant will receive a certificate for the highest level based on the above order. In all cases, the rulings of the CQ DX Marathon Manager are final. Formula Class antennas, option 1: Operators selecting the 5 watt option are limited to antennas on a single tower and whose height does not exceed 65 feet or 20 meters above ground elevation. Wire antennas may also be used but must meet the criteria of the 100 watt option, and may be tower-supported at only one point. Formula Class antennas, option 2: Antennas for operators choosing the 100 watt option must be either simple verticals or wire antennas lacking significant gain. No arrays are allowed, whether vertical or horizontal. Wire antennas, regardless of type, may not exceed 130 feet or 40 meters in length, may not be higher than 65 feet or 20 meters above ground at any point of the antenna and may be tower supported at only one point. The tallest point of vertical antennas used may not be higher than 65 feet or 20 meters above ground. Yagis, quads and rotatable dipoles may not be used in this category. There is no limit on the number of antennas that may be used as long as each antenna meets the above criteria. Limited Class Antennas: Antennas for Limited Class include all Formula Class option 2 antennas for use on all bands plus directional antennas such as Yagis and multi-element loop, hex and quad type antennas. Directional antennas with no more than 3 elements used per band are allowed on the 20-meter through 6-meter bands. Boom length may not exceed 16 feet (5 meters) for antennas with booms. Single element rotatable dipoles are allowed for the 30 and 40 meter bands. Directional antennas and rotatable dipoles must not be higher than 50 feet (15 meters) above ground and all antennas must be on a single tower or support. Contacts: Each contact for a claimed country or zone must be a solid contact. The station claiming a contact with another station is expected to have had his or her callsign fully and accurately received and transmitted by the other station, and to have copied his/her own call being correctly sent by the other station. For example, K2MGA may not claim credit for a QSO with a DX station who had his call as K3MGA, even though in many cases the DX station would QSL the contact with the correction made (after receiving a card from K2MGA, realizing the error and correcting his/her log). For a contact to count, both stations must correctly copy all of both callsigns.